"Mental health clinic breaking ground in Burien"
"Hospitals: get ready for climate change laws"
"Federal program keeps money flowing for hospital projects"
"MultiCare opens $117M Tacoma campus expansion"
"Surgical advances create ‘hybrid’ operating rooms"
"Robots bring changes to operating room design"
"In wake of reform, hospitals try doing more with less"
"Hospital noise rules get an update"
Milgard Pavilion houses a chapel, cancer center and an emergency department addition. 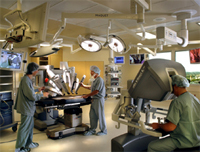 Sophisticated new surgical equipment is coming to U.S. hospitals. 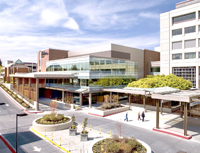 MultiCare opened the $117 million Milgard Pavilion at Tacoma General Hospital in April. The expansion houses two emergency departments and a cancer center. 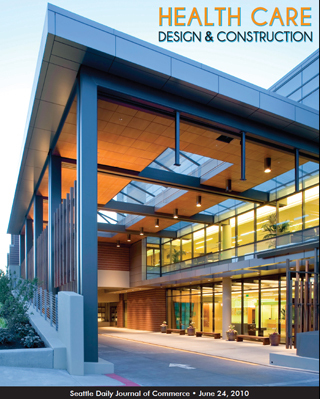 GBJ Architecture was the designer and Skanska was the general contractor. Editor’s note: The caption has been revised because the building was misidentified.